Pennsylvania’s environment features diverse, pleasing climates and scenery that homeowners can expect to enjoy year-round, and any enclosed living space on your home allows you to take in these natural wonders at your convenience and leisure. However, if your home only features a screened-in porch, do you find that you can only comfortably relax outside from late spring through early fall? By converting your home’s screened in porch to a sunroom with glass panels, you add value and aesthetics to your home. You also get a remarkable and pleasing outdoor lounging space you can enjoy for most of the year. PAsunrooms is Pennsylvania’s solution for crafting and installing custom sunrooms and outdoor living spaces, as well as converting existing porches for local homeowners to enjoy all year. Our friendly, helpful team of professionals understands your unique, evolving needs and expectations. We’ll work closely with you during a free in-home consultation to design personalized sunroom solutions to fit your budget and lifestyle. Is It Possible to Turn a Screened-in Porch to a Sunroom? While your home’s screened-in porch has provided a reliable outdoor living space to unwind in at the end of a long day or entertain guests, you may be limited in how frequently you can spend time there. If you wish, you can certainly convert your screened-in porch into a sunroom with trusted experts, at PAsunrooms. If your home already features a screened-in porch, then converting your space into a sunroom with glass panels is fast and simple. For many homes, most sunroom conversions can only accommodate a three-season room that you can enjoy during spring, summer and fall. However, if your screened-in porch was installed by a skilled company, then the construction may support a four-season conversion. Many porches are built with a large open section, and even with quality window installations, there is a wide enough gap present that allows cool air to enter through the frame. That makes a three-season sunroom the most practical conversion. With the help of a professional sunroom conversion company, you can change your screened-in porch to a sunroom in a few days to weeks depending on your home and the current state of the structure. Our team will check the framing and support of your existing porch structure, then remove the screening materials and replace them with quality, attractive glass panel inserts and doors. During your porch conversion project, you’ll benefit from superior construction methods and materials. You can also customize your space to suit your expectations with several glass type selections, glass tinting options or specialty features like a doggy door panel. When you’re ready to enjoy year-round outdoor comfort, consult with the professionals at PAsunrooms to explore your screened porch conversion options. 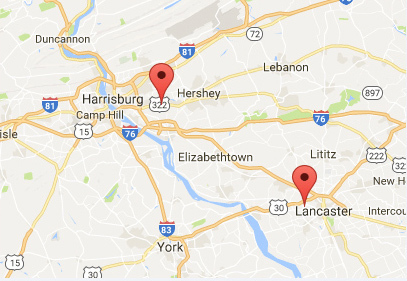 We’re a family-owned and operated sunroom installation company with over 30 years of experience serving the residents of southcentral Pennsylvania throughout the Harrisburg and Lancaster areas. To ensure we provide the highest-quality services and personalized sunroom solutions, we offer free in-home design consultations to explore your installation options and flexible financing plans. Learn more about turning your screened-in porch into a sunroom today. Call us at 717-564-2244 to speak to a team member, or complete our online contact form to request a free consultation.